When I was growing up my family went to my grandparent's house most years to celebrate Independence Day. I have so many great memories of swinging on the porch swing with my cousins and drinking Ting soda. While we saw our cousins throughout the year, some more than others, Fourth of July was the one time when we were all together. When I was 13 we moved out of state. Around that time some of the older cousins spread out to various colleges and began lives of their own. As happens, the annual Independence Day get-togethers became a wonderful part of my past. Many, many years later, just after Ian was born, we had a huge family reunion for that side of the family on Fourth of July weekend. Not only were all my cousins there but so were their (and my) children, most of whom we'd never met before. A gorgeous family portrait was taken, with everyone celebrating the "red, white, and blue". That was a good 14 years ago and so much has changed (and now we have facebook to keep in touch!) but the recollections and pictures are always there. Whatever your wonderful holiday plans, a tie may be the perfect icing on the cake for those family photos. Or for showing your spirit at a local parade (we love the annual parade in Waupaca, WI, though we don't make it every year). "Girl, it's only May," you say. True, there's plenty of time, almost two months. The shop, though, will be closed from the end of May to June 11th for my vacation so I'm recommending orders get in soon so there's no "down to the wire" worry. I will, as always, work to accommodate last minute orders, but I can't speak for the USPS, so I suggest playing it safe. These ties, coordinating pocket squares, and more can be found in the Holiday section of the shop and are available for both boys and men. 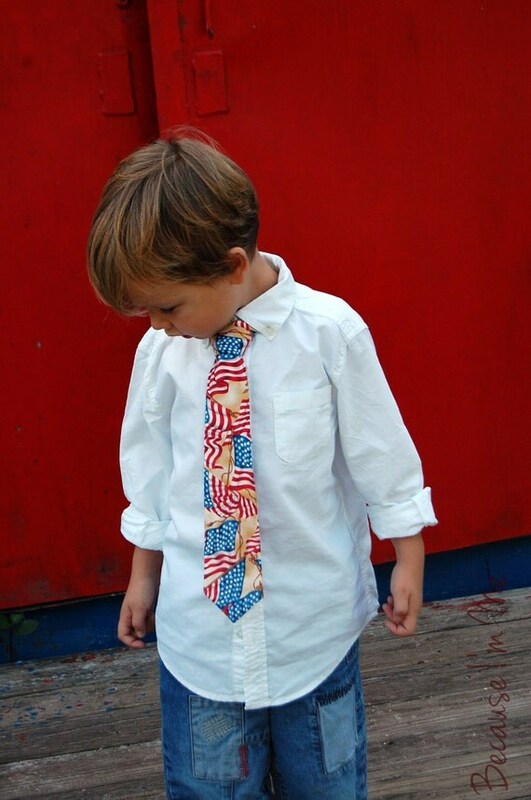 Red and blue gingham ties are available as well in neckties and bow ties. 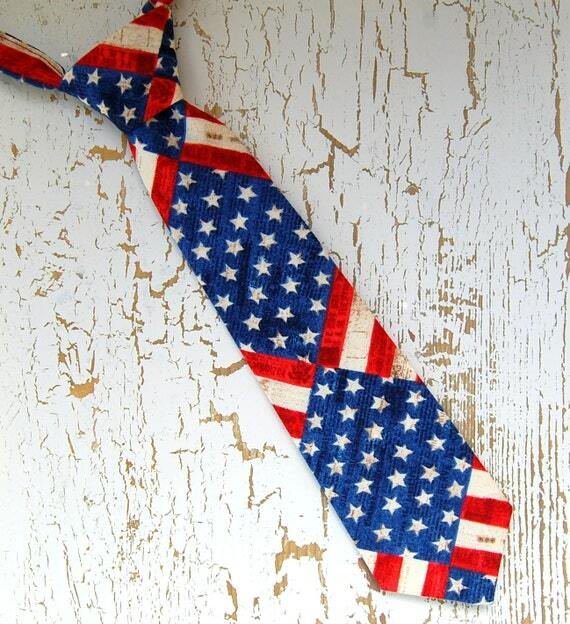 The ties are certainly not limited to the Fourth of July. They're great for Flag Day, Memorial Day, Veteran's Day, Pearl Harbor Day, and every single day of the year. 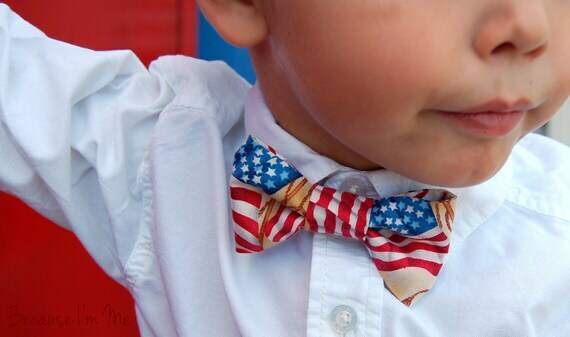 Find a little American pride pinspiration here. What are your Independence Day memories? Are you my age, old enough to remember the Bicentennial? I'd love to hear your stories.